The mission of Hope and Purpose Ministries is to participate in the New Evangelization through preaching, teaching, and the use of excellent media initiatives. Deacon Larry Oney is the founder and President of Hope and Purpose Ministries; which was created to teach, mentor, and inspire people through the creation, publication, and distribution of Biblically-sound, Catholic materials in all forms of media, for the purpose of building the Kingdom of God through evangelization, catechesis, and education. 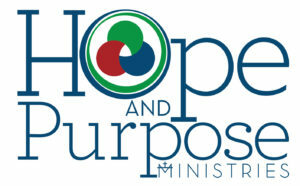 Furthermore, Hope and Purpose Ministries works to grow the Kingdom of God with person-to-person witnessing, teaching, and mentoring through prayer opportunities, conferences, retreats, missions, and other speaking engagements. We ask for your prayers and support of our mission to proclaim the Kingdom of God (Matthew 10:7), encourage others that God has a plan and purpose for their lives (Jeremiah 29:11), and to help heal the broken-hearted (John 10:10b). 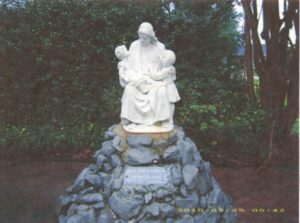 CBIB, Compassionate Burial for Indigent Babies , is a non-profit organization that was founded in 2007 to ensure that unclaimed and aborted babies receive a proper burial. Our Mission is the respectful burial of babies that have been found thrown in trash bins or otherwise would not receive burial. The Catholic Charismatic Renewal of New Orleans (CCRNO) is a self-supporting office of the Archdiocese of New Orleans. It began in 1969 under the leadership of Fr. Harold Cohen, S.J., and has pioneered Charismatic Renewal activities in this region since then. CCRNO sponsors weekly, monthly and annual events designed to promote the outpouring of the Holy Spirit in the lives of Catholics throughout the Gulf South.